A sprain is the overstretching or tearing of a ligament (fibrous tissue that connects two bones together) caused by a sudden or severe twist. What Parts of the Body can you Sprain? Known as “turf toe,” sprains of the big toe are common in football, wrestling, gymnastics, and other sports. Ankle sprains are very common with the ankles being the body part second most likely to be injured during sports. “Jamming” your fingers or bending them back too far are common causes of sprains in the fingers. The ligaments of the knee (ACL, PCL, LCL, and MCL) are often injured in sports, especially basketball and football. Wrist sprains are common among athletes and are usually caused by falling on an outstretched hand. Ligaments are short, tough bands of fibrous connective tissue that connect bones to other bones around joints all over your body. Ligaments hold our joints in place and limit or prevent certain movements. They should not be confused with tendons, which attach muscle to bone and are springier. Ligaments are like rubber bands, in that they are tough but have elastic qualities, which when injured can cause them to stretch (like a rubber band) or even tear. A sprain is the overstretching or tearing of ligaments while a strain is the stretching or tearing of muscles or tendons. Sprains and strains often present with similar symptoms, however, sprains typically happen in ankles and wrists while strains occur more frequently in the low back and hamstring. How bad can Sprains be? 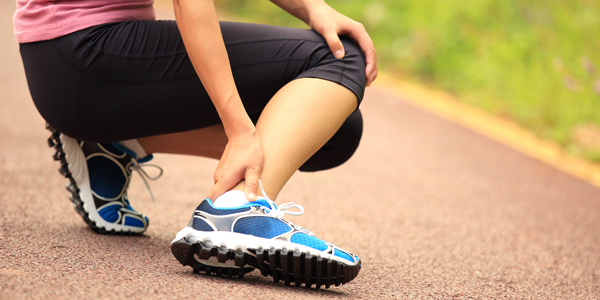 There are three different degrees of sprains that range in severity from mild to severe. In a first-degree sprain, the fibres of the ligament are stretched and may tear slightly. The ligament is still intact, and your joint will feel stable., but you might have swelling and pain. In a second-degree sprain, the ligament fibres are partially torn but still intact. The joint will be tender and swollen and feel loose. In a third-degree sprain, the fibres of the ligament are completely torn (known as a rupture). This level of sprain can feel like a broken bone as it will be nearly impossible to put any weight on the joint. If you experience muscle spasms and are unable to move the affected muscles, then you most likely have a muscle strain, not a sprain. Should you see a Doctor about a Sprain? If your sprain symptoms do not improve with these at-home remedies, you may want to consult with a pt Health physiotherapist for a custom treatment plan to address your unique concerns. While sprains can be successfully treated at home, physiotherapy is recommended to help strengthen the affected area to prevent future injury and, in some cases, low back pain. When you sprain a ligament, it can become weak and unstable increasing your chances of spraining the same area again and again. Will a Sprain Heal on its own? Yes and no, people who have suffered a sprain are 70% more likely to sprain the same ligament again. So while home remedies, like the RICE protocol, can ease symptoms and help you recover, the ligaments can be weakened making you more likely to sprain it again. Can you Prevent a Sprain? Yes, the best way to prevent a sprain is to keep yourself in good physical condition. Stretching and strengthening exercises should be done regularly as part of an overall fitness plan. If you play sports or have a physically demanding job speak to a physiotherapist about the best exercises for your activities.